I love the color yellow and I am soooooo glad that everyone this summer is embracing it. 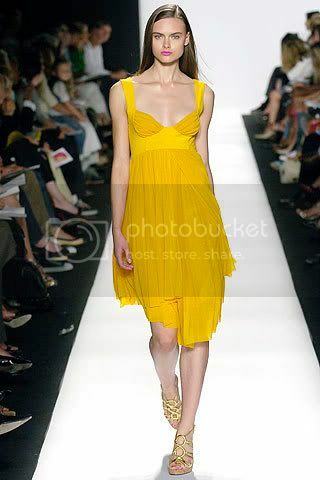 Many of the top designers not only involved yellow in their Spring/Summer 2007 lines they embraced all bright hued colors. The bright colors have also found its way to shoes. 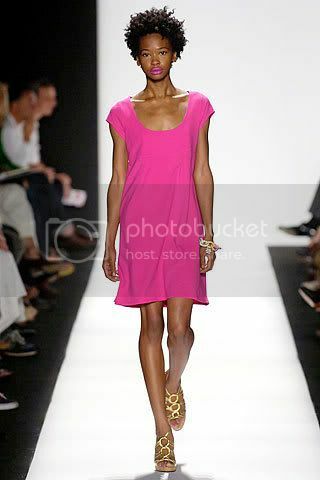 **Note** When wearing shoes with this magnum of color its best to pair it with atleast 1 neutral color. Dont forget your trusty wedges this year. I dont believe wedges will ever go out of style and if they do Im still gonna be rockin mine! lol. Gotta love that 5 in heel!